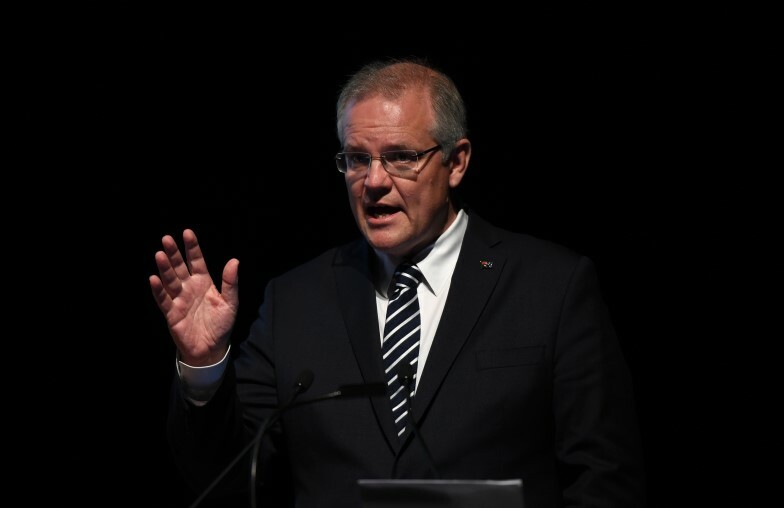 Prime Minister Scott Morrison has announced plans to reduce Australia’s migration cap, arguing in the The Daily Telegraph’s 2018 Bradfield Oration that buses, trains and schools in Sydney and Melbourne “are full” and Australians are saying “enough, enough, enough” to population growth. 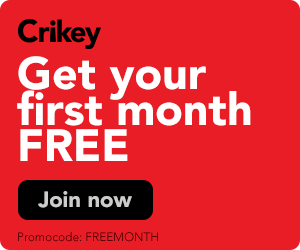 The Daily Telegraph ($) reports that Morrison, in a speech since published in full as an opinion piece ($), predicted that a new framework with state governments would lower the annual 190,000 cap, and will call on premiers and chief ministers to bring forward state and territory population plans at the Council of Australian Governments meeting in Adelaide on December 12. As The Sydney Morning Herald notes, only 162,000 permanent visas were approved of the 190,000 target in the last financial year, a result of new measures under Home Affairs Minister Peter Dutton. China’s top security agency has reportedly directed a year-long surge in cyber theft of Australian companies’ intellectual property, in an apparent violation of an agreement struck between China’s Premier Li Keqiang and former Prime Minister Malcolm Turnbull just last year. While cyber attacks subsided in the aftermath of the Keqiang-Turnbull agreement, a joint Fairfax and Nine News investigation has found that China’s Ministry of State Security soon launched a series of thefts referred to as “Operation Cloud Hopper”, which targeted both Australia and partners in the Five Eyes intelligence-sharing alliance (the US, Canada, UK and New Zealand). Both the AFP and ASIO have stepped up coordinated responses to the threats, although they remain months behind similar US operations, while several police and officials have raised frustrations over Australian companies and universities failing to harden cybersecurity. Minister for Women Kelly O’Dwyer will today announce a suite of new Coalition measures aimed at both women and new parents, including granting people leaving abusive relationships early access to superannuation. The Sydney Morning Herald reports that O’Dwyer will deliver the first women’s economic statement at the National Press Club, where she will announce a new electronic sharing system between the ATO and Family Law Courts to help grant women in crisis quick, emergency access to superannuation assets. Other measures include streamlining the property settlement process and new funding for property dispute mediation. Additionally, The Herald Sun ($) reports that O’Dwyer will give new parents the ability to stagger up to six weeks of paid parental leave over two years, a change from the current system which mandates primary carers take their entire 18 weeks as one block. Chris has been giving his opinion freely on this matter for quite a while so I don’t know what got into his Wheaties this morning. Chris is his own person … he’s quite unique. And we’ll leave him to be a legend in his own lunchtime. The Treasurer takes a shot at Defence Minister Christopher Pyne in the Coalition’s escalating and entirely self-imposed Israeli embassy dispute. Federal Labor leader Bill Shorten is expected to launch the Community Housing Industry Association national plan. A state funeral will be held for cafe owner and stabbing victim Sisto Malaspina, with mourners to hear from Governor Linda Dessau. Greens leader Richard Di Natale will speak with The Conversation’s Wes Mountain on “Politicising Multiculturalism” at the Australian Intercultural Society. Proponents on Night Time Economies will meet at the State Library to discuss the best models and initiatives to support music and outcomes for Victoria. RBA Governor Philip Lowe will deliver an address on “trust and prosperity” at a CEDA event. Duke of York Prince Andrew and judges will hear entrepreneur pitches at an event hosted by Victorian Governor Linda Dessau for the chance to progress to Andrews’ international [email protected] event. CBA CEO Matt Comyn continues evidence at banking royal commission hearing on policy, before chair Catherine Livingstone is set to appear. Tony Abbott and Alan Jones will launch Dr. Kevin Donnelly’s book How Political Correctness is Destroying Education and Your Child’s Future. NSW Independent MP Alex Greenwich, Greens MP Jenny Leong, and Labor MLC John Graham will host a screening and discussion of public housing documentary The Eviction at NSW Parliament House. Sydney Ideas will host expert panel discussion “Why are soldiers taking their own lives?” at the University of Sydney. Minister for Women Kelly O’Dwyer will deliver the first “Women’s Economic Security Statement” at the National Press Club. Former Nationals leader and Deputy Prime Minister John Anderson will help launch Meat & Livestock Australia’s four-day Red Meat 2018 conference. Former Australian Human Rights Commissioner Gillian Triggs will speak in-conversation with current ACT Human Rights Commissioner Dr Helen Watchirs at a YWCA She Leads event. Australia’s Chief Scientist Dr Alan Finkel will deliver “Quality in research: our shared concern” for The Queensland Academy of Arts and Sciences 2018 John O’Hagan Lecture. The Queensland Council of Unions will hold a Change the Rules rally. Queensland Attorney-General and Minister for Justice Yvette D’Ath will launch The Queensland Family and Child Commission’s latest report, “Growing up in Queensland”. 2018 Tasmanian Australian of the Year and Creative Director of Big hART Scott Rankin will launch his essay “Cultural Justice and the Right to Thrive”, published as part of quarterly arts series Platform Paper. Shadow Treasurer Chris Bowen will discuss Federal Labor’s economic plan at a CCI breakfast. SA Independent Commissioner Against Corruption Bruce Lander will appear before a parliamentary crime and integrity committee. Hundreds of teachers across the country will walk out of school to demand kids and adult refugees on Manus and Nauru are brought to Australia for resettlement. Today is also Universal Children’s Day, the deadline human rights activists gave the federal government to evacuate children and families.